Career choices of today’s medical students: where does surgery rank? The national junior doctor recruitment crisis prompts an appraisal of medical student attitudes to different career pathways. 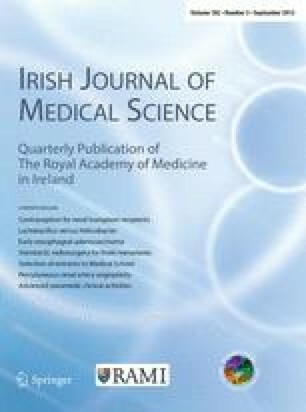 The purpose of this study was to perform a national review of surgical career intentions of Irish final year medical students. Ethical and institutional approval was obtained at each study location. A questionnaire was designed and distributed to final year students. Domains assessed included demographics, career plans and reasons associated. Anonymised responses were collated and evaluated. Categorical data were compared with Fisher’s exact test. Responses were obtained from 342 students in four medical schools of whom 78.6 % were undergraduates. Over half (53 %) were Irish, with Malaysia, Canada and the USA the next most common countries of origin. Only 18 % of students intended to pursue surgery, with 60 % stating they did not plan to, and 22 % undecided. Of those who plan not to pursue surgery, 28 % were unsure about a speciality but the most common choices were medicine (39 %), general practice (16 %) and paediatrics (8 %). Reasons for not picking a career in surgery included long hours and the unstructured career path. Suggestions to improve uptake included earlier and more practical exposure to surgery, improved teaching/training and reduction in working hours. In this study 18 % of final year medical students identified surgery as their chosen career pathway. Although lifestyle factors are significant in many students’ decision, perceived quality and duration of surgical training were also relevant and are modifiable factors which, if improved could increase interest in surgery as a career. We would like to thank all the students who participated in the survey.